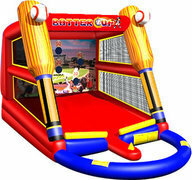 Book Your Corsicana Bounce House Rentals Online Now! 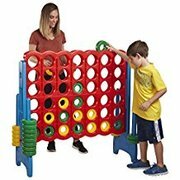 The quality of our Bounce Houses, Inflatable Water Slides, Obstacle Courses, Tents, Tables and Chairs are what set us apart from our competition. 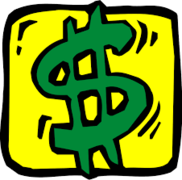 Cowboy Party Rentals prides itself in its customer satisfaction. 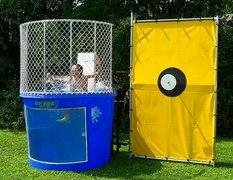 Our clients trust us for the biggest days; whether it is for a wedding or backyard birthday party. No event is too large or small for our staff. Our party planning specialists know what it takes for your big event to be a success. 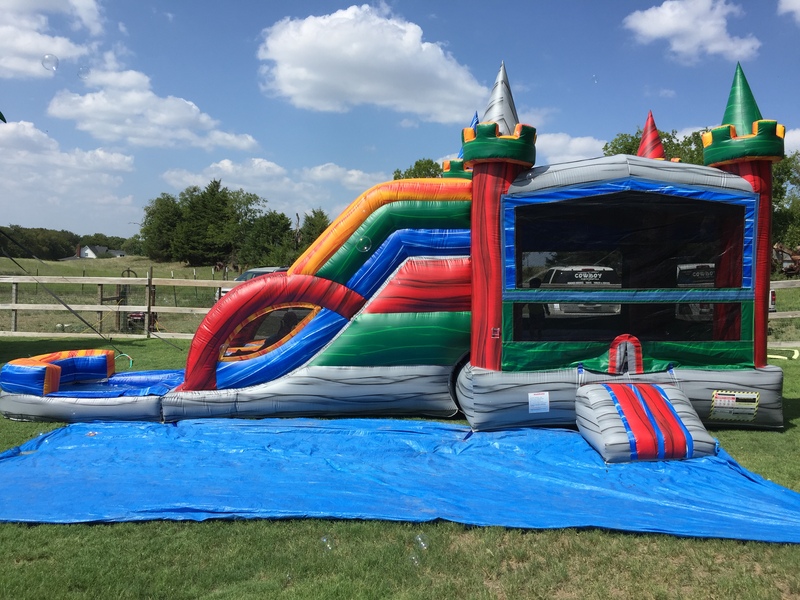 Renting a Bounce House in Corsicana, TX has never been easier! 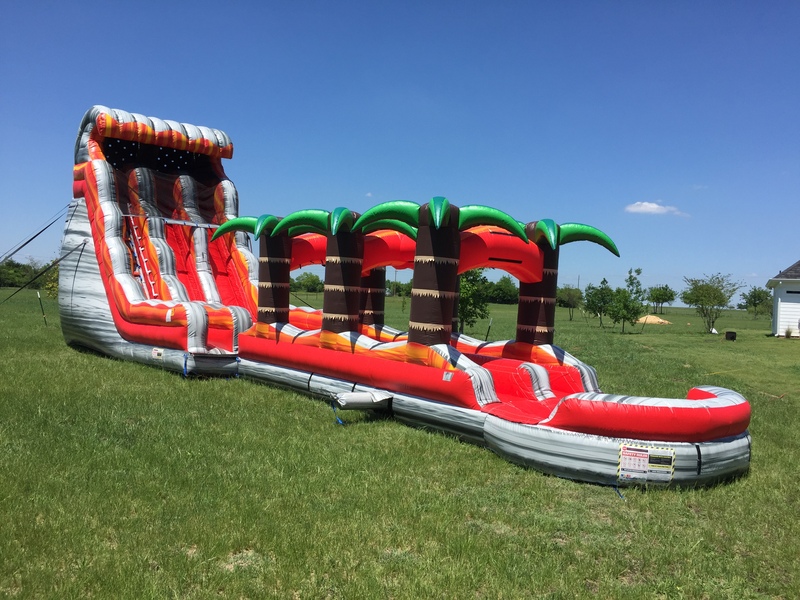 Cowboy Party Rentals is here to help make your next event or party a breeze. 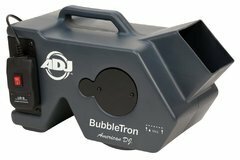 Our trained delivery personnel will educate you on safety, do the proper and safe install, and will even come back to roll the inflatable bouncer up when you are finished. We are a completely turn key operation-- you just have the fun! We offer services at residences, churches, schools, corporate events, and even parks! Corsicana, TX is home to some beautiful parks where you and your guests can have a stress-free birthday party. Check out the Corsicana Parks and Recreation page for more details on reserving your spot at one of the pavilions. Many are ADA accessible and even have electricty! 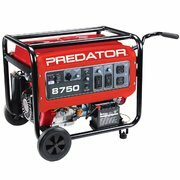 If your spot does not provide electricity, we can help there as well. 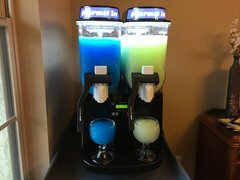 Don't for get to grab one of our 10x10 Party Tent Rentals or a Sno Cone Machine! 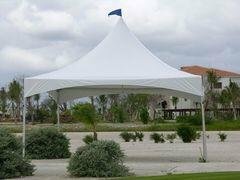 Corsicana Tent rentals couldn't get any easier! Just pick your dates, the size of tent, seating needs, and your party is set! Our High Peak Wedding Tent Rentals are a great addition to corporate events and church functions. Their gorgeous white tops makes a simple grassy area an elegant venue. Add some of your Table Rentals, Chair Rentals, or Linen Rentals to finish off your look! 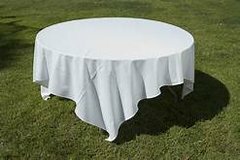 We have a vast selection of tables to fit your need: 60" Round Tables, 8 Foot Tables, 6 Foot Tables, and Cocktail Tables. Our Chair Selection is just as good! Go with our formal White Resin Garden Chairs, White Plastic Folding Chairs, or with our budget friendly Brown Folding Chairs. 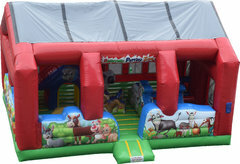 Obstacle Courses from Cowboy Party Rentals are a must have addition for large events. We have many great options to fit your needs! 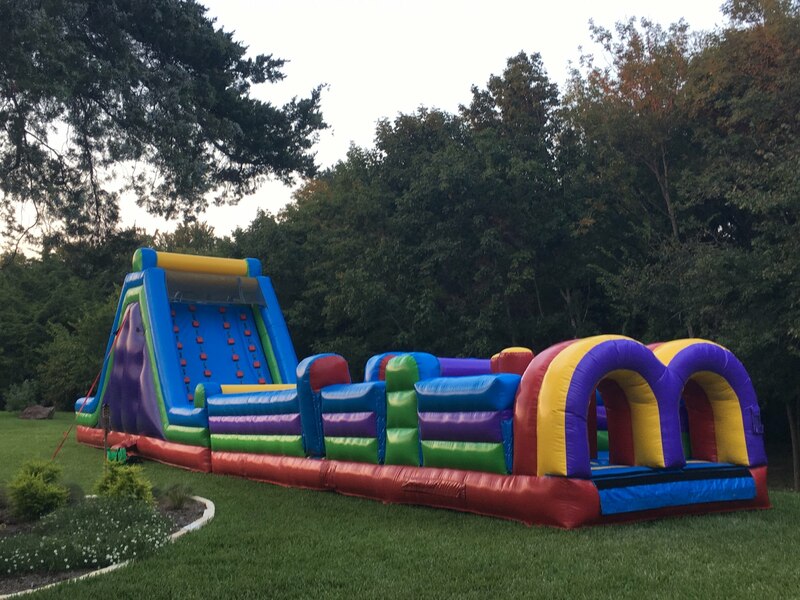 Our smaller obstacles are good for backyard parties and younger children, while our large obstacles such as our 135' Toxic Obstacle Course is a whopper for any age! 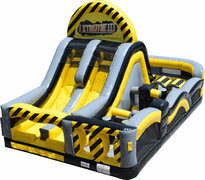 All of our inflatables are state inspected and insured for your safety. We clean and sanitize our rentals after every use so you can rest easy! 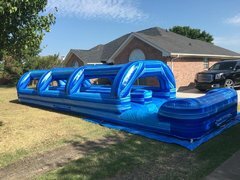 The best water slide rentals in Corsicana, TX only come from one trusted source: Cowboy Party Rentals! 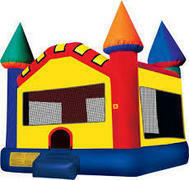 We have the cleanest and nicest water bounce houses in Dallas Fort Worth. What sets us apart from our competition is not only the quality of our water slides but the level of service that we offer. Our Google Reviews speak for themselves! 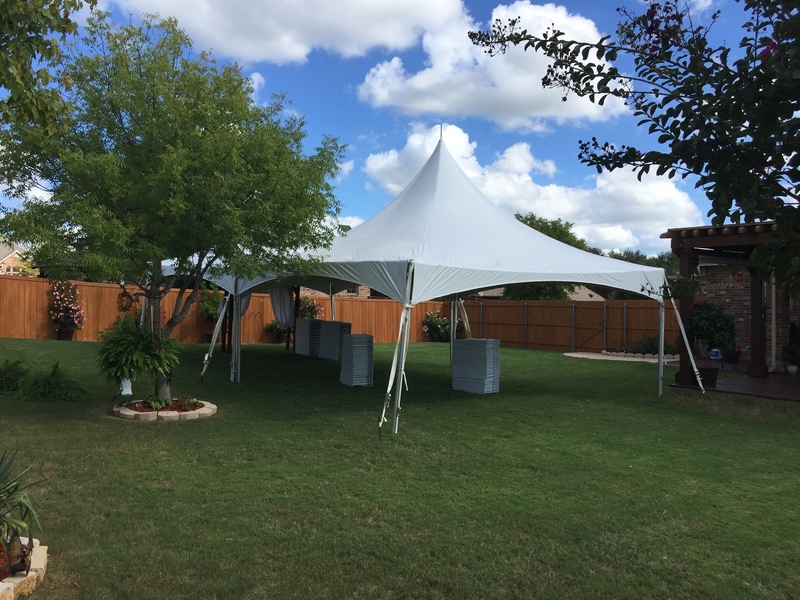 We strive to be the best one stop shop of party rentals in Corsicana. 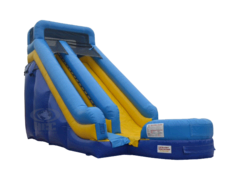 Let us provide not only your fun water slides but your tents, tables, chairs, and other party necessities!